What happens when first responders get to a disabled vehicle and find the driver unconscious? 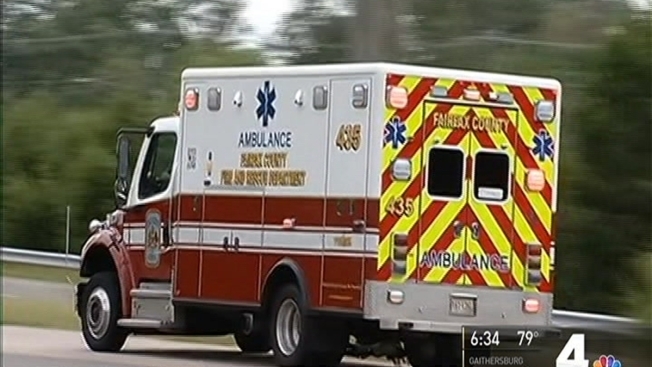 A new program in Fairfax County, Virginia, will give EMS crews information that may save lives. The Yellow Dot Program gives drivers stickers to place on their cars to signal to first responders that they can find key medical information inside the glove box. "It will help us out in the long run because it will give us some clues to what caused [the crash] and how to treat the person," said Capt. Dave Hessler of Fire Station 35. Otherwise, EMS crews are left to guess what the patient needs. Springfield resident Bill Delaney, 80, got a dot. "It gives me a sense of comfort," he said. The dot program is designed for seniors, people with medical conditions and anyone who takes regular medications. For now, the sticker and information booklets need to be picked up at first stations. To find a fire station, check the county's website.